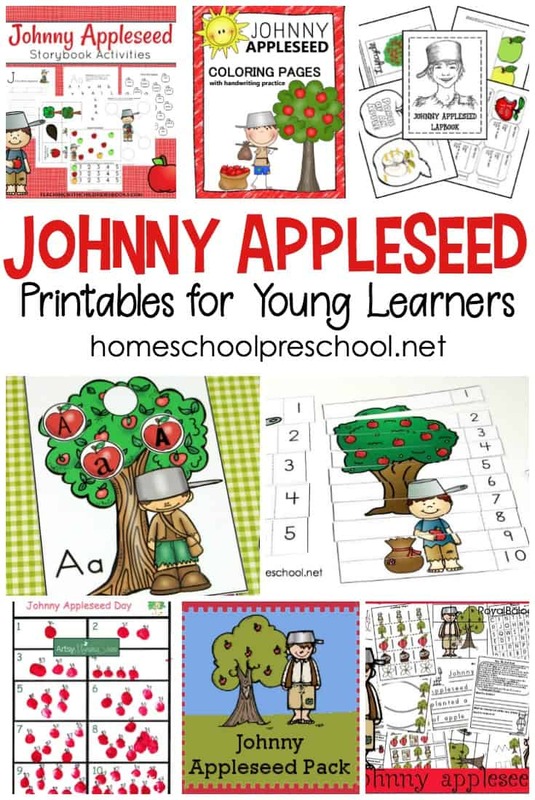 These printable Johnny Appleseed activities are perfect for celebrating Johnny Appleseed Day or supplementing your apples preschool theme! 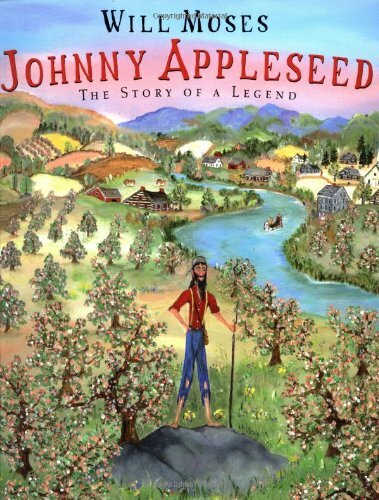 Did you realize that Johnny Appleseed is more than a tall tale or a legend? He’s a real person who traveled the country planting apple orchards as he traveled west. 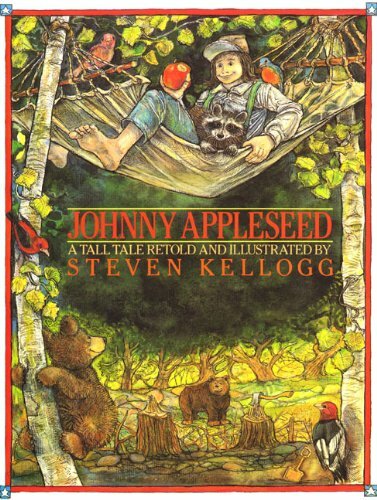 Introduce your kids to Johnny Appleseed or add these Johnny Appleseed activities to your autumn preschool units. There’s a variety of printables featured below, so you’ll be sure to find something on the list to suit your needs. 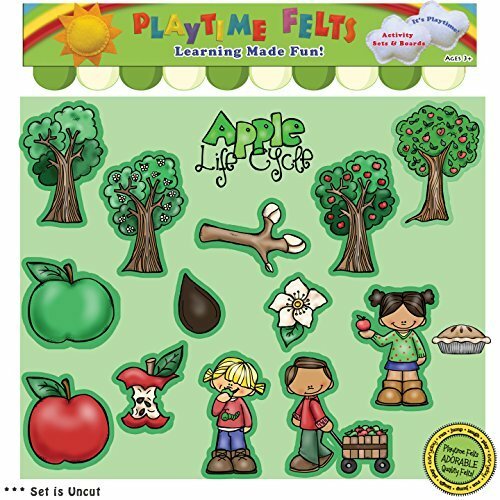 Explore all of the printables featured below with your little ones for a fun Johnny Appleseed unit this autumn. 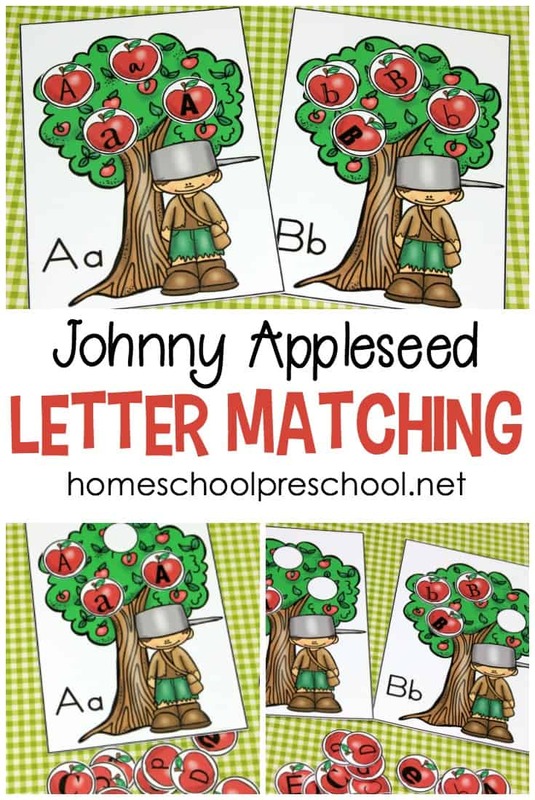 • Preschoolers will practice sorting the letters of the alphabet with this Johnny Appleseed letter matching game. 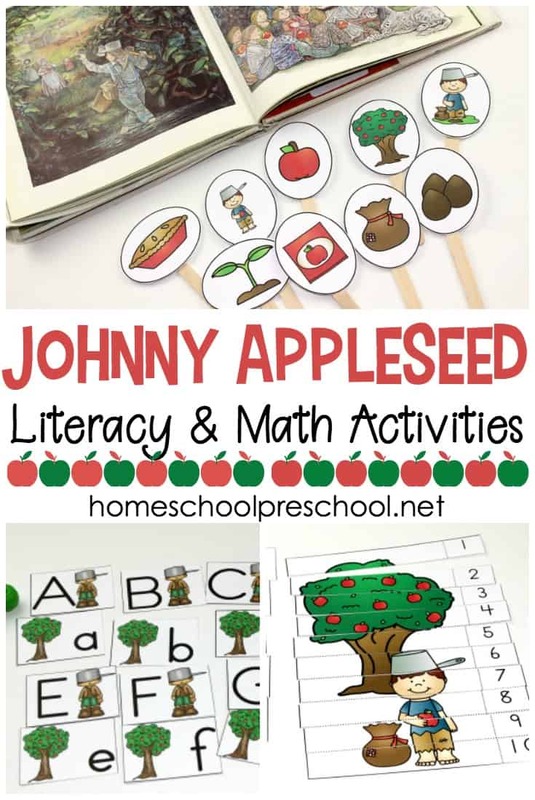 • Last week, I shared this Johnny Appleseed preschool printable which is full of early literacy and math activities for little ones. 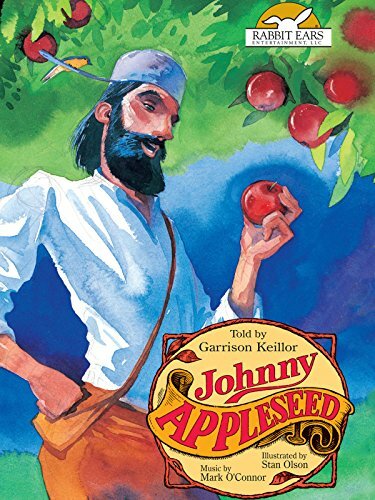 • This Johnny Appleseed unit study is packed full of printables, a book list, a video, and a bunch of apple crafts for preschoolers. • Print out this one-page Johnny Appleseed counting activity, and have your preschoolers make fingerprint apples as they practice counting from 1-10. 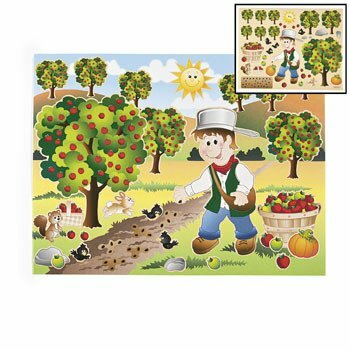 • These Johnny Appleseed printables are designed to be used with children 2-10. You can use them with all of your young learners at once. 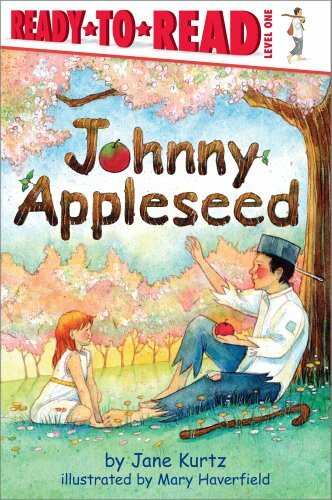 • Add this collection of Johnny Appleseed coloring pages to your Johnny Appleseed unit study. Kids can practice their handwriting, as well. • Tots and preschoolers alike will work on various beginner math and literacy skills with this Johnny Appleseed printable unit. 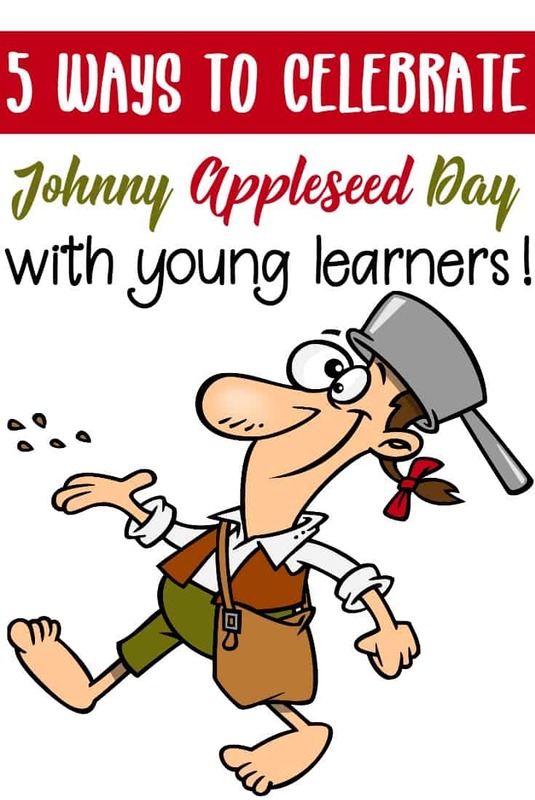 • While some of the activities in this Johnny Appleseed lapbook are designed for older kids, there are plenty that your preschoolers can do. 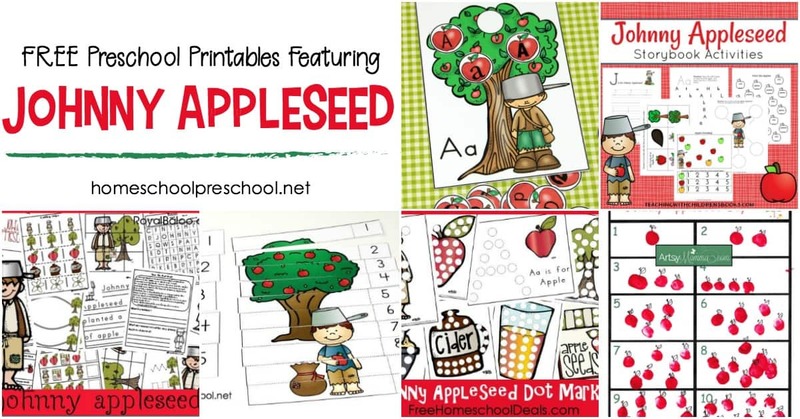 • Break out your dot markers for this set of ten Johnny Appleseed dot marker printables.